https://rising.globalvoices.org/files/2019/01/Honduras4-400x267.jpeg 400w, https://rising.globalvoices.org/files/2019/01/Honduras4-768x512.jpeg 768w, https://rising.globalvoices.org/files/2019/01/Honduras4.jpeg 1280w" sizes=" 800px) 100vw, 800px" />Photo provided by Red de Desarrollo Sostenible Honduras and used with permission. This country report was written by Eduardo Peralta of the Red de Desarrollo Sostenible-Honduras and Internet Society Honduras Chapter. Please visit the GISWatch website for the full report which is also available under a CC BY 4.0 license. The Azacualpa Valley is located in the village of Yamaranguila, Intibucá, right in the heart of the Lenca corridor in Honduras. Surrounded by mountains and completely isolated from the world, the people of Azacualpa have no paved roads, no telephone lines, no internet access, no power supply, no running water and no health services; the nearest town is 45 minutes away by bus. Red de Desarrollo Sostenible (RDS), the organisation I represent, is a Honduran NGO that has been working in capacity building with a focus on information and communications technology (ICT) since 1994, with a vast experience working with communities all throughout the country dealing with subjects such as disease prevention, food security, community radio and internet governance. We started working with the community in 2017 through the help of Olivia Zúñiga Cáceres, who is currently in the Honduran Congress, and Salvador Zúñiga, an RDS board member; they are also the daughter and former husband of late indigenous leader and environmental activist Berta Cáceres. In that year we were able to launch – through a Cultural Survival Community Media Grant and with the help of the “Impactos” programme – the first community radio fully directed and operated by women in the country, Radio Azacualpa – La Voz de las Mujeres (Radio Azacualpa, the Voice of Women). 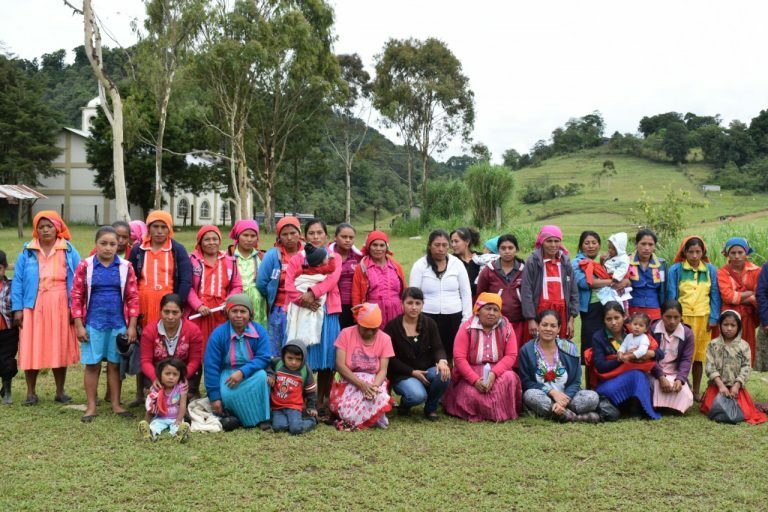 By empowering the local women in becoming leaders in their communities, a strong community structure has flourished and developed in Azacualpa, generating an environment in which community members have been seeking opportunities to overcome the limitations they currently face. Last year we approached them with the idea of starting their own community network; they immediately jumped on board and though they do not fully grasp the concept of internet, they understand it to be a tool that can help them unlock the great potential that their community holds. This is the story of the Lenca people of Azacualpa, and their experiences and their challenges as they become the first community network in Honduras. The population in Azacualpa is 1,070 inhabitants. Each family has an estimated six to eight members, and there are around 300 families in the entire valley. The main economic activity in the Azacualpa Valley is agriculture. 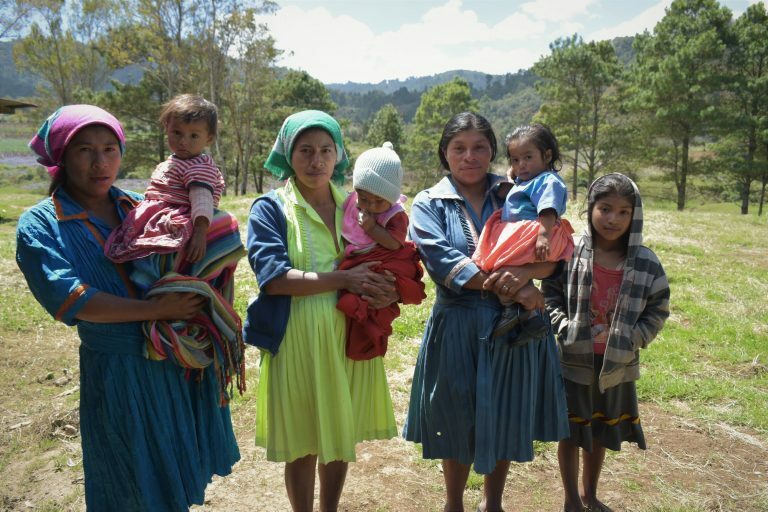 The Lencas, like most indigenous communities in Honduras, endure hardships to protect their lands and resources and most have no access to basic services. They have no education in their native language, and their communities generally do not have properly equipped education centres; in the words of a local Azacualpa teacher: “We chose not to give the students homework because we know they don’t have anywhere they can do research.” Their access to health is also limited; they have a high mortality rate amongst children with diarrhea being the leading cause. Community radios have helped with this situation. They have empowered local leadership and helped create consciousness amongst the Lencas regarding their rights, and knowledge about the historical struggles of their people. This includes the life of environmentalist Berta Cáceres, murdered in 2016 while in the middle of protests to protect the Gualcarque River from a power company, a river that lies in historical Lenca grounds and that serves as a water supply to several of their communities. https://rising.globalvoices.org/files/2019/01/Honduras3-400x267.jpeg 400w, https://rising.globalvoices.org/files/2019/01/Honduras3-768x512.jpeg 768w, https://rising.globalvoices.org/files/2019/01/Honduras3.jpeg 1280w" sizes=" 800px) 100vw, 800px" />Photo provided by Red de Desarrollo Sostenible Honduras and used with permission. In Honduras, the digital divide is progressively being reduced. According to a 2017 report by the national telecommunications commission, an estimated 2,240,400 people have internet access, which is 25% of the general population. This number amounts to approximately 29 out of 100 people who are internet users. In the urban area, around 42.6% of the population has an internet connection, while in the rural area the digital divide is much bigger, with only 14.1% of the population with internet access. Policy-wise, community networks have a long way to go in Honduras. The fact that there is no legislation mentioning community networks is a double-edged sword for potential efforts. Without regulation, communities can explore a vast array of possibilities to get connected to the internet – however, this comes at a risk as it leaves community networks without legal recognition and without any protection from the state. The idea of the Azacualpa community network was first raised in 2017 at the launch of Radio Azacualpa. The aim was to submit a proposal to the Internet Society's Beyond the Net Large Grants for USD 30,000, which would be used to set up the network’s infrastructure and secure connectivity for at least 18 months. A month before submitting the proposal, we wanted to be sure that people in the community were still on board, so we decided to conduct a survey in the households of community members we had met previously (around 40 households) to determine whether they were still interested and if the sustainability of the network was viable. The response was overwhelming: we discovered that they were already spending an average of USD 30 per month per household on phone services that they did not have access to locally, and that they often had to travel long distances on foot just to be able to make a phone call or send a text message. They were interested – to say the least – although not entirely aware of how the internet works or what it is. Presenting the idea to the whole community was a bit tougher. Though the community is organised, geographically it is dispersed. The terrain is rough, and the distances people have to walk to get anywhere are very long. We knew the only chance of presenting the idea to them all at once was to do it in the only place the community congregates as a whole on a regular basis: church. With the help of the local priest, we were able to pitch the idea to the whole community with positive results, including the formation of three working groups to strengthen the social structure of the community network: the technical working group, administrative working group and governance working group. These working groups are formed by both men and women and have 17 members all together. Their tasks vary, though they complement each other in a very organic way. While the technical working group is in charge of the maintenance of the equipment and infrastructure of the network, it is also responsible for teaching peers in the community how to take full advantage of the network's technology. The administrative working group is in charge of managing the community network's resources, such as the computer lab established for such purposes, collecting the necessary financial contributions from the community to sustain the network, and making sure these contributions have a positive effect on the network to ensure its sustainability. The governance working group, which is made up of “house leaders”, serves the goal of consolidating the network from an organisational point of view; the social structure behind the network must be strong in order for it to survive. It is also important for the community to make alliances with key stakeholders in the local, national and global context. https://rising.globalvoices.org/files/2019/01/Honduras2-400x267.jpeg 400w, https://rising.globalvoices.org/files/2019/01/Honduras2-768x512.jpeg 768w, https://rising.globalvoices.org/files/2019/01/Honduras2.jpeg 1280w" sizes=" 800px) 100vw, 800px" />Photo provided by Red de Desarrollo Sostenible Honduras and used with permission. The success of these working groups will rely on how well they are able to communicate with each other and work together to create a community consciousness of the importance of the network and – most of all – to ensure that the community is able to appropriate the technology to suit their own purposes. The technical aspects of the network are very simple and straightforward. This was done in order to keep the technology manageable for a community that had very little technical training and experience. The network consists of four nodes connecting Azacualpa via four radio towers to the nearby city of La Esperanza. Wi-Fi will cover an area of 70% of the Azacualpa Valley, reaching most of the community and some parts of neighbouring communities. As mentioned, current regulation does not deal with community networks. The closest thing in the local legislation that resembles community networks are private networks which require no permits to operate as long as they do not sell their internet to third parties. The social structure that constitutes the network needed a legal structure in order to consolidate the network; the community decided that the best way to do so was to create a social economy association. This allows them to negotiate better prices for their products, and reinvest profits in communal projects that will allow the community to continue their economic and social development on their own terms. While the community's main income comes from agriculture, and though they grow high-quality produce, they often face hardships since they have no way of moving it to a nearby market, and intermediaries often underpay them for their products. They barely break even at times. The idea of the association has motivated the community to think of new ways to market their products, and to form groups that can negotiate better deals as they intend to wholesale their produce. With the help of the internet, they will both earn more money and secure the economic sustainability of the community network. The people of Azacualpa are very humble, hard-working people. When we first approached them, we found a community that was very united but in which women had a very restricted role in their households. With little to no sexual health education, the average Azacualpa household consists of eight family members. This means that men generally dedicate themselves to manual labour such as agriculture and tending livestock, while women generally stay home and raise their kids, tending to crops near their houses. When they started the community radio, the women – who were often shy to speak – seemed to transform. 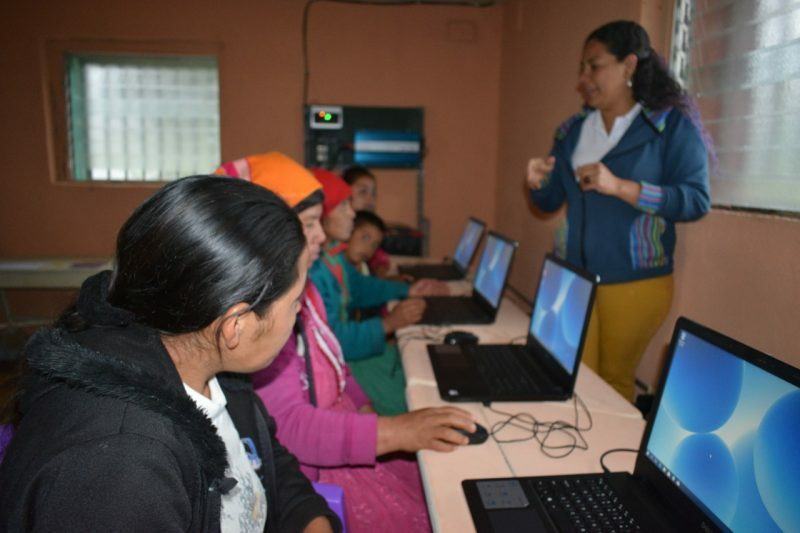 As they progressed through their preparation before the official launch of the station, leaders were identified among community members such as María Guadalupe Gutiérrez and María Santos Sánchez, and now, in the community network, María Lázara Rodríguez. Seeing this has motivated more women to join the process. https://rising.globalvoices.org/files/2019/01/DSC_0766-400x267.jpg 400w, https://rising.globalvoices.org/files/2019/01/DSC_0766-768x512.jpg 768w" sizes=" 800px) 100vw, 800px" />Photo provided by Red de Desarrollo Sostenible Honduras and used with permission. This has had positive results in the Azacualpa community overall. Before the arrival of the community radio there were three women’s groups identified in the village; now that number has effectively tripled, resulting in greater involvement of women in local organisations. Today women's groups have started tackling issues like sexual education that were once taboo in the community. We hope that these types of organisations keep thriving in the local context to help young Lenca women envision a better future for themselves and their people. The community network has kept this spark alive with a large number of women joining the working groups established to support the network. The empowerment of women in technology will be key in the deployment of this network. Both the men and women of the community see eye-to-eye on gender equality issues and understand that unless they work together as equals, the community will not be able to fully reach its potential. 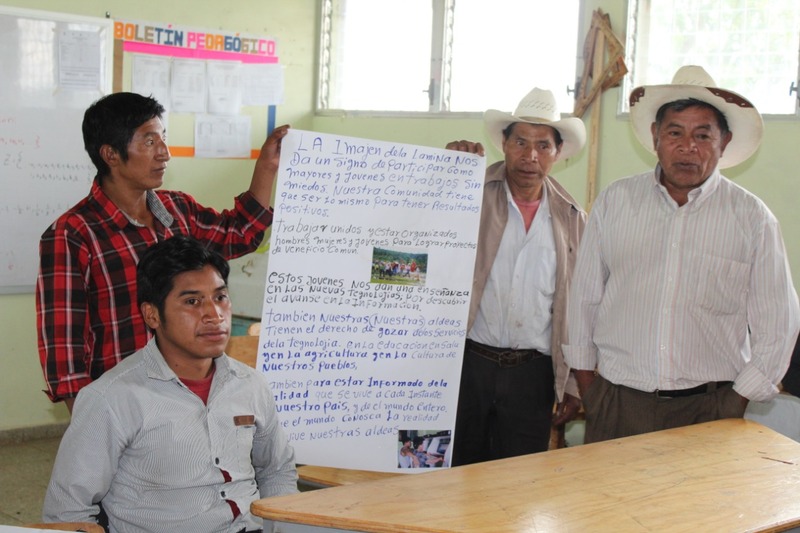 Another key aspect which the network wishes to address is the revival of the Lenca language, a language that has been lost not just in Azacualpa but in Honduras in general. A few years ago, anthropologists Alan King and Jan Morrow published Kotik Molka Niwamal, a dictionary of Lenca terms they were able to recover by speaking to Lenca elders in various communities throughout the country. We hope that one day the community will be able to publish content that allows the people of Azacualpa and other Lenca communities to recover their native language. Although the funding for this is not there yet, we believe the governance working group will be able to achieve this milestone for their culture. While it is too early to determine the impact that the community network is having on the Azacualpa community, in the process of setting up the network we have witnessed a lot of enthusiasm, and the growth of great vision that the community has for its own development. The internet will not only allow them to sell products online and secure a better livelihood for their families, but will show them a new world filled with possibilities and opportunities for them to grow. They have shown great interest in the internet’s potential for education, since the educational centre they have only reaches the ninth grade. They know that while the internet means more options for education, it also entails a capacity-building processes that can strengthen the whole community. The process has taught the community that having a clear view of the future and addressing these issues as a whole and not as individuals gives them a far greater power than they have ever imagined. They have embraced equality, and women in the community have a far greater voice than they ever had at any point in their history – this gives us hope that the Lenca people will be able to break a long tradition of subjugation in which the role of women was limited to childbearing and tending the house. Women now stand arm-in-arm with their husbands and their sons in the process of revitalising their community, and are leading the process of teaching everyone an important lesson: a community will never be able to thrive if both men and women do not have equal opportunities to grow and express themselves. For more information regarding action steps for Honduras, please visit the full report on the GISWatch website.